ArchEcology LLC integrates practical, cost effective sustainable strategies from a variety of green building programs into new construction and existing building projects. We work primarily for speculative developers and the private sector, satisfying corporations that are driven by a financial bottom line and take a pragmatic approach to sustainability. In ten years, ArchEcology has facilitated more than 75 LEED and other green building certifications covering over 5 million SF. We are responsible for 2,025 certified residential units, with another 3,200 units in our current pipeline. Utilizing our combined experience in design, engineering and construction, we provide practical, data-driven guidance to assist project teams to create thriving, sustainable urban developments. ArchEcology is the only recognized Proven ProviderTM for the LEED Building Design and Construction and Interior Design and Construction rating systems in the Pacific Northwest. Nancy Henderson founded ArchEcology in 2006 to focus exclusively on green buildings. Using her 23 years experience in architecture and project management, she guides project teams in developing sustainable goals and then integrating the resulting sustainable measures into the development of their commercial and residential projects. A tireless advocate for sustainable design and operation, Nancy provides an expert understanding of practical ways to satisfy a variety of green building goals. Her extensive knowledge of building envelope and energy systems allows her to evaluate energy efficiency strategies against local code and sustainable requirements to recommend the most cost effective approach to compliance. Nancy is a Registered Architect and a LEED Accredited Professional. She is a member of the Seattle Living Building Technical Advisory Group and the current Board Chair of the Mt Baker Housing Association Board. 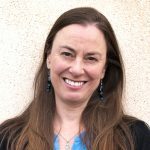 Michelle Rosenberger joined ArchEcology in 2007 and has more than 25 years of industry experience. Thoroughly familiar with the design and construction process, Michelle has successfully managed the sustainable certification of dozens of projects under a wide range of green building programs. She helps project teams understand sustainable strategies, evaluate their feasibility and achieve compliance with documentation requirements. Michelle is a LEED Accredited Professional in both New Construction and Commercial Interiors and has a Masters degree in Business. She has created and delivered a wide variety of eco-charrettes, goal setting workshops, training seminars, and green building presentations and has published numerous articles on sustainable topics. 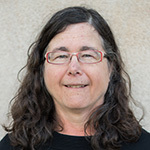 Katherine Morgan brings over 25 years of experience in the environmental and building sector including program development and implementation, project management, policy, research, writing, land development, education and training, and multimedia communications. Katherine helps project teams achieve their certification goals, and brings to bear a perspective on land use and ecological systems as well as ongoing operations and maintenance so that buildings that are built green stay green. 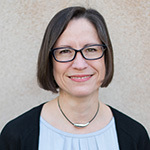 Katherine is a LEED Accredited Professional in Existing Buildings, a Certified Sustainable Building Advisor, and holds a Building Operator Certification -Level 1. She has a Masters degree in Planning and a Bachelors in Environmental Science. Joni brings strong analytical skills to the technical analysis of daylighting, lighting controls, ventilation and site strategies. She has contributed her skills to a wide range of projects from multifamily residential new construction to office tenant improvements. She is versed in BIM design and construction software and uses Autodesk Revit to perform daylight simulations for the stringent new requirements of LEED v4. Joni has a Bachelor of Fine Arts in Interior Design with a minor in sustainability from the Art Institute of Portland. She is a LEED Accredited Professional and currently pursuing accreditation for the WELL Building Standard. 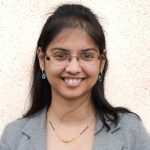 Mugdha demonstrates competency in energy modeling and has experience using various energy modeling software such as eQUEST, DesignBuilder and EnergyPlus. She has strong analytical skills for evaluating and reporting on energy savings associated with potential upgrades. She is knowledgeable in the areas of hygrothermal analysis and integrated building envelope solutions. Mugdha has a Bachelor’s degree in Architecture and a Master of Science in Sustainable Design from Carnegie Mellon University. She is a LEED Green Associate, currently pursuing LEED Accredited Professional.